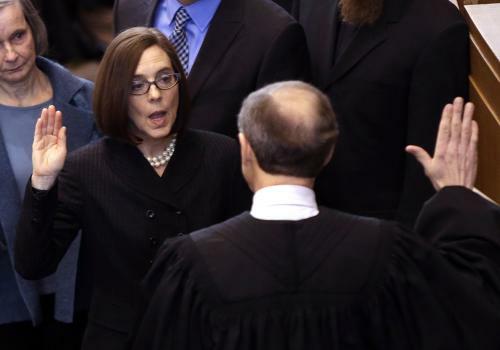 In early January, Oregon Gov. John Kitzhaber was sworn in for an unprecedented fourth term. Last week, he announced his resignation — a swift and spectacular fall that was adroitly chronicled by Salem, Oregon, correspondent Jonathan J. Cooper. Allegations that Kitzhaber’s fiancee had used their relationship to win contracts for her consulting business had swirled around the governor for months. On Monday, the state attorney general announced a criminal investigation. On Tuesday, Kitzhaber asked Oregon’s secretary of state, Kate Brown, to return from a conference in Washington, D.C. That fueled rumors he might step down because, under the state’s constitution, she would succeed him. But after meeting with Brown, Kitzhaber said he had no intention of quitting. Brown then released a statement suggesting Kitzhaber was unstable. On Thursday, Cooper got a scoop when he reported Kitzhaber had in fact decided to leave the state’s top job, but then changed his mind. Cooper’s sources were three people in the governor’s inner circle. Cooper, through his previous beat reporting on the disastrous rollout of Oregon’s health insurance website, had developed deep and reliable sources at the Capitol who trusted him to get his facts straight. As Kitzhaber faced growing pressure to step down, people within the administration turned to Cooper to let him know the governor had convened his aides on Sunday, Feb. 8, to say he planned to step down, but then he changed his mind. On Friday, Cooper, again citing sources, reported that Kitzhaber had reversed course again and would indeed resign. About a half-hour later the governor announced he would leave. But Cooper’s long day and week wasn’t over. On Friday night, working yet another source, Cooper obtained a copy of a federal subpoena that confirmed federal agents were probing the influence peddling-scandal. 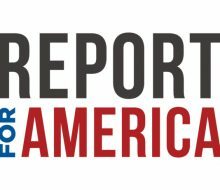 Statehouse reporting is a cornerstone of our strategy for U.S. News and is one of the key things that sets AP apart from the competition. But just being in every statehouse isn’t enough. Cooper’s work shows how an enterprising and well-sourced reporter can help set the news agenda on even the most competitive and spectacular stories. His Friday story about the resignation and federal investigation was the lead story on Yahoo News and MSN, and The New York Times cited AP when it referred to the subpoenas. The biggest TV stations in the Northwest led their noon newscasts citing AP’s NewsAlert that Kitzhaber would announce his resignation. For his persistence and source work on a huge political story that captured the nation’s attention, Cooper will receive this week’s $300 Best of the States prize.